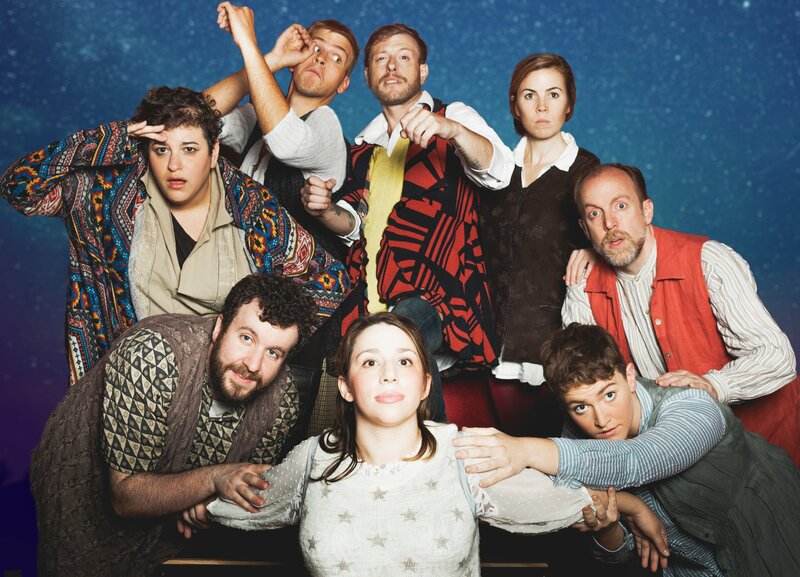 The cast of the Hub Theatre Company’s “Peter and the Starcatcher.” Photo: Hub Theatre Company. BOSTON – It was an excellent, inspiring evening of theater. And, best of all, if you couldn’t afford it, you didn’t have to pay. 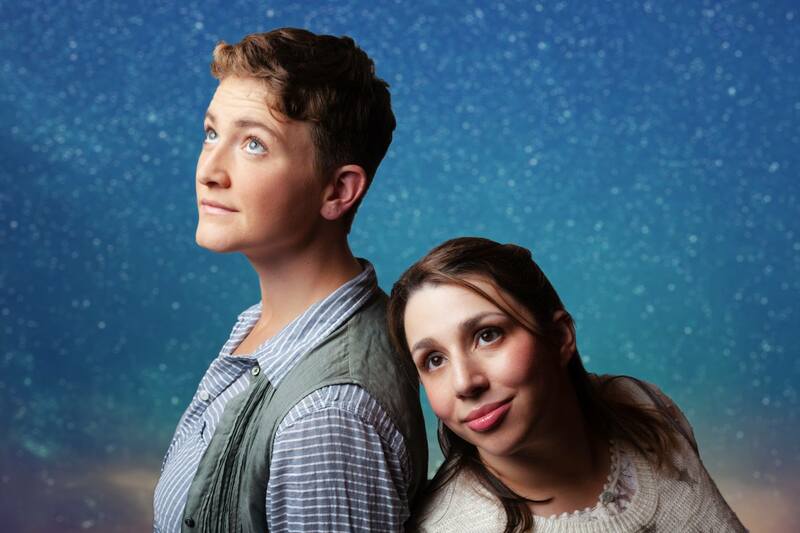 Hopefully, all who could made at least the suggested donation and then some to see the Hub Theatre Company’s production of “Peter and the Starcatcher,” which ran through Sunday, Nov. 18 at the First Church in Boston. “Peter and the Starcatcher” is the epic tale – a prequel – detailing how Peter Pan, Wendy, the Lost Boys, Captain Hook and Smee and even the ravenous crocodile came to be in Neverland. For the project, The Hub assembled what amounted to an all-star team of best and brightest actors and actresses on the Boston fringe theater scene. The play, by Rick Elice with music by Wayne Barker, is based on the novel by Dave Barry and Ridley Pearson, and it won five Tony Awards in 2012. It isn’t really a musical, but a play with music, but that doesn’t diminish the importance of music director Brittany Aiken, who performed the actual score, as well as the incidental music and sound effects that helped tell the story. Liz Adams, showing the same leadership qualities she exhibited in Actors’ Shakespeare Project’s “Julius Caesar” is Lord Leonard Aster, on a secret mission for Queen Victoria as the Starcatcher in charge of making sure the “star stuff” — not to be confused, but will be, with a popular coffee – doesn’t fall into the hands of a band of pirates led by Black Stache. Black Stache – someday to be better known as Captain Hook – is a role Joey C. Pelletier was born to play, and he channels his inner Snidely Whiplash (look him up!) and chews up the scenery in his villainy. There are two ships involved in the tale: The Wasp and the The Never Land, both loaded with cargo trunks that may or may not contain what Lord Aster is duty bound to protect. Lauren Elias is Lord Aster’s daughter Molly, an intrepid young girl who finds meaning and a special friendship as she leads the trio of orphans – who have been kidnapped and destined to be snake food on a faraway island — on a dangerous mission against thieves and pirates. There is a nameless Boy (Claire Koenig) who will someday gain the name of Peter; Prentiss (David Makransky), who fashions himself as the leader of the trio but ho does more talking than leading; and the perpetually hungry Ted (Jon Vellante). The movement is credited to Michael John Ciszewski, Black Stache’s right hand man as the hapless Smee, and the play flows beautifully, the actors often serving as human props. There are other sublime performances: Bob Mussett as Mrs. Bumbrake, Molly’s nanny, who finds true true love with Alf, (Lindsay Eagle), the salty if gassy good-matured mate. It’s a match made in heaven and lived on earth. Robert Orzalli shines in three roles, but his turn as the Fighting Prawn, the king of Mollusk Island, was the best. Molly Kimmerling is the villainous Bill Slank, mate of The Never Land, and later is a hilarious Hawking Clam, the right-hand mollusk to Orzalli’s Fighting Prawn. Hats off to Director Sarah Gazdowicz and the design team on the casting and the stagecraft that allowed her artists to tell the tale effectively and imaginatively. For Boston’s intrepid, fearless, dedicated and talented fringe players, there is no pot of gold waiting at the end of the rainbow. Just a memory of how, through talent, hard work, teamwork, and some superb stagecraft, they created something wonderful – and you could have, although I hope you didn’t unless you absolutely had to – have had it for nothing. The Hub Theatre Company production of “Peter and the Starcatcher.” Directed by Sarah Gazdowicz. At the First Church of Boston through Nov. 18. HubtheatreBoston.com.